Oscar Pistorius has been formally charged with the murder of his girlfriend Reeva Steenkamp, after at a court hearing in South Africa this morning. During the short sitting at Pretoria Magistrates Court, the paralympian – also charged with possession of illegal ammunition – was told the dates of 3 – 20th March 2013 had been mutually agreed for the trial. 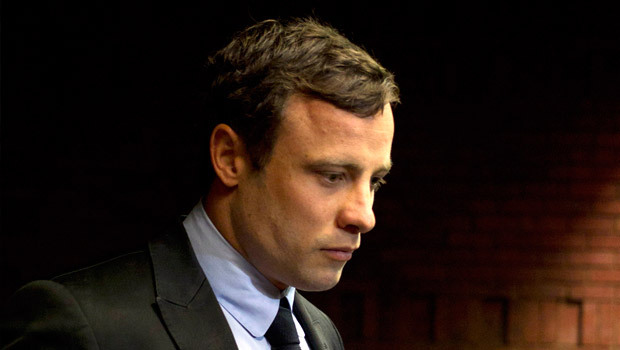 Magistrate Desmond Nair confirmed Pistorius’s bail conditions, granted in February, will remain the same until then. Appearing in court, Pistorius wore a black suit, and was reportedly spotted tearfully praying with his family before the hearing began. This marks his third appearance in court, and comes on what would have been Reeva Steenkamp’s 30th birthday. 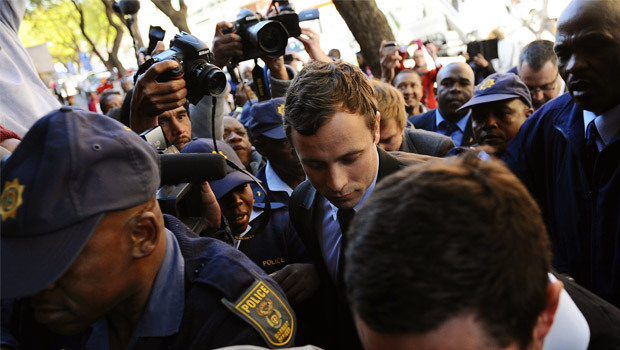 In June, the controversial Oscar Pistorius case was postponed until August 19 following an agreement between the prosecution and the defence – in a hearing which lasted just five minutes. This came after graphic pictures of the crime scene and bathroom where Reeva Steenkamp was killed were leaked, and published by several news outlets. Oscar Pistorius was formally charged over the murder of his girlfriend, Reeva Steenkamp, in February after she was found dead on Valentine’s Day. Pistorius was arrested on Thursday morning after a body was discovered at his home in the gated Silverwoods country estate complex in South Africa. He was taken into custody and police removed a 9mm pistol from the scene.